Xiaomi is a company which provides high tech gadgets at a low and equitable price. The Chinese company has recently been in higher progress with different kind of technology products and the quality it provides. 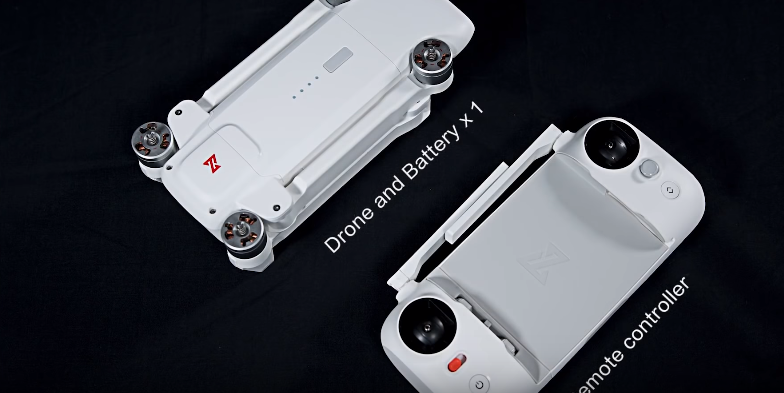 The Xiaomi Fimi X8 SE is a sterling looking foldable drone launched by the company recently. If anyone is fond of clicking pictures or videos at different heights and angles where you can’t reach, the company has invented a drone for such people with all the tech and specs one needed. 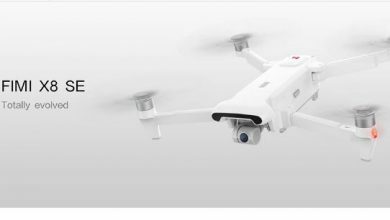 With its appealing features, it can give some serious competition for DJI Mavic air, Parrot Anafi and Hubsan Zino. 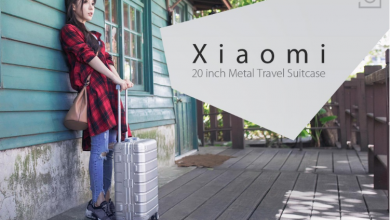 The Xiaomi Fimi X8 SE is the second new and astonishing drone we’ve seen from xiaomi recently their Fimi A3 looks to be a competitor. This product has a user-friendly interface because of its visage. With its amazing features, it is economic good for a common man also. Its performance is also useful as compared to other drones. It is so easy to use the product that even children are easily able to operate this drone. The new Xiaomi FiMi X8 Se always meets your expectations so that you can do your work without any problem. It has a plethora of original flight modes including hyperlapse, panorama, image tracking, and waypoints. Not only by its feature-wise, but also this drone is so astute. This drone is going to give challenge and competition to lots of drones. This advanced model and new technology are seriously very prodigious. Design of this drone is entirely different from others. When it comes to its exterior looks, it is an ingenious product as it matches with its specifications. 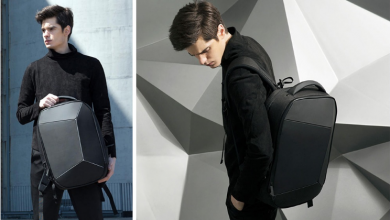 It has an ultra-portable design which makes it different. 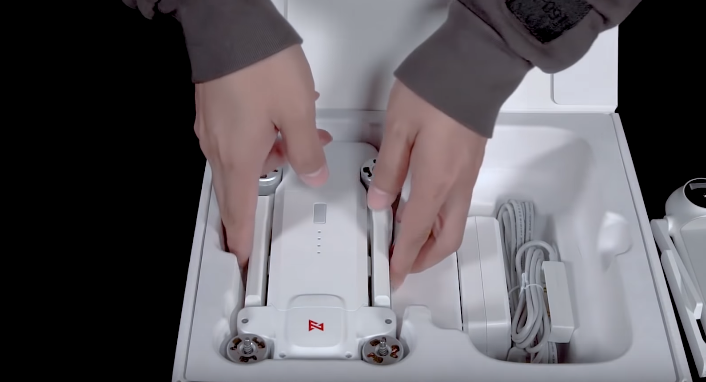 Also, it has to have four foldable arms or fans which are designed to help the drone raise higher and has an excellent length to increase stability. The wings or arms contribute a lot to the looks of the device. It has a peculiar feature that is, and it is foldable. When folded up it is only slightly bigger than a large smartphone. This is an ergonomic design for travelers. When we look at the remote control of the device, it can be compared to a PSP. There are two antennas at the ends. On the left bottom, you can find a power button shaded in silver. Above the power button, the connectivity slide switch is located. It is also known as the sport or GPS switch. Below the Button, there is a Home or Return switch. There are two controlling rollouts at the top edges for the direction and height management. The product altogether carries an excellent look. You may even want to have it without knowing about its specification also if you don’t need it. It has an expandable wireless remote controller of 2.4 GHz which let this to go far and provides a better connection. Its control range is 5-kilometer. It weighs less than 2 pounds that are 790 grams which is too lighter not even one KG. It promises to be quieter and more capable than Xiaomi’s first 4k Mi drone. This new drone by Xiaomi has adorable features with its design. The product features a thirty-three minute flight time. It is capable of 4k video at 30 fps with a 100 Mbps. It is also capable of shooting F-log and DNG raw. The 12 MP camera has a Sony IMX378 1/2.3” sensor. It has a UHD video recording that is 3840x [email protected] 30fps. Its camera has 3 axes rotatable mechanical gimbal. 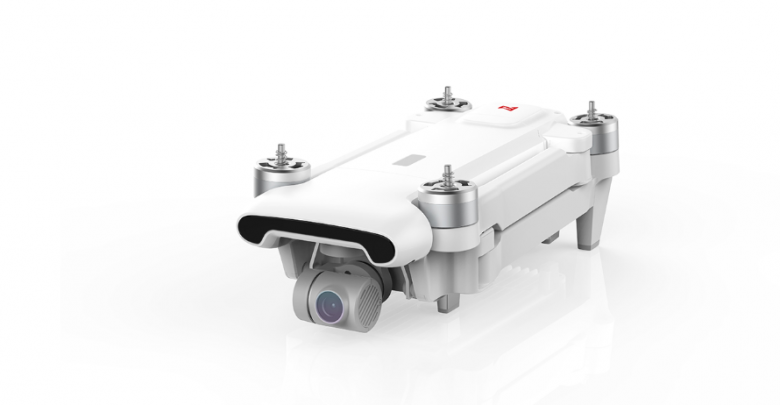 It has a surfeit of brilliant flight modes including hyperlapse, panorama, image tracking, and waypoints. The X8 also has a handful of nine shots including circle, rocket, drone, and spiral. It is also capable of 3 times digital zoom. It is powered by 3s/4500 mAh battery, and the FiMi X8 SE is a quadcopter. Also, it has to have WIFI app control also WIFI FPV. It works on high functions. Now the most important and different feature is its automatic return to low home battery and signals lose. It also has a wind warning. There are smart track and a quick flight in this product. The product has a precise vision positioning system installed in it. There are no bounds in its moving directions. It can move left, right, down or up. Besides, there are four channels in this drone. Moreover, there is built-in rechargeable 11.1 v 4500mAh Li-ion battery. The product overall has a superb Quality on which you can blindly rely upon. Now let us see what provides this product such as specification and technology. I already am highly impressed with this product, and I am happy by giving it a reference. The drones are sure to have higher technology when it comes to connectivity. For this purpose, the drone is provided with a GPS which is supported by the GLONASS satellite. The tracking of the device becomes comfortable. So, the problem of losing your drone under any circumstances does not come with the drone. The remote control has been provided with a 2.4 GHz wireless connectivity. It supports four channels and has a range of 1000 m. It is quite a far range to send your drones until you are on a mission. There are some ports provided along with the device to allow do some more works. It can be used to do some high sky fireworks, or if you are using it as a night time you can connect it through a LED, and even a servo supported port. The Home Return provided in the remote control helps you for a better and easier return of your device. It also comes to a specification that the drone has a track record of the current flight and stronger connectivity. The Remote control is provided with an AV out, TF card and USB port. You can view your drones Screen upon your TV screen. The TF memory card slot is used to record the multimedia. An additional USB port is also provided with the device to connect it to various kinds of tools and use it with more comfortability. The Xiaomi Fimi X8 SE Drone can reach up to a maximum height of 500m. The drone can work up to 33 minutes continuously without any difficulty. It has two radio modes, radio mode 1 and 2. The radio modes have a left and right throttle. The max photo resolution is 12 MP camera has a Sony IMX378 1/2.3” sensor12 MP camera has a Sony IMX378 1/2.3” sensor. The Gimbal provided is three-axis rotatable and mechanical. The product comes with an overall package you would want from a drone with all high leveled and upgraded specifications. The angles, focal lengths and resolutions provided will not dissatisfy you at any moment. The quick release propellers offer quick and fast propulsion which is supported by the durable and well-balanced design. The product package comes with whatever you need along with the device. It has an RC Quadcopter, a transmitter, a battery, 3 USB cable, six propellers, 1 charging cable and an ac cable. The Quadcopter and transmitter come with battery included within itself. For your concern, the package content also contains the user manual. People who are not aware of the working of the drone can efficiently operate the Device. 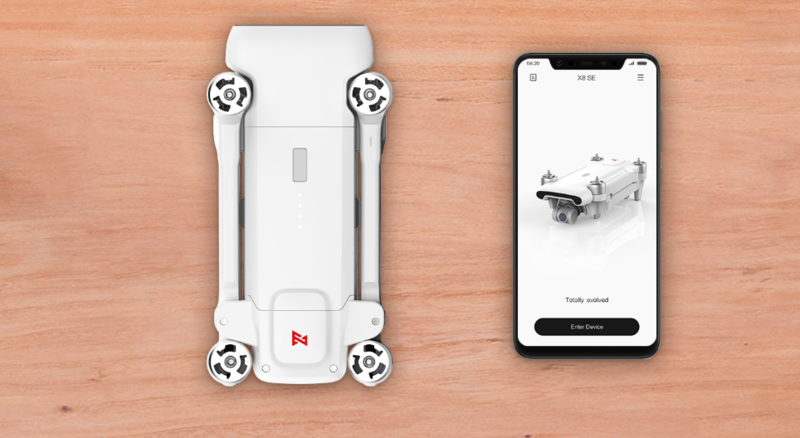 Xiaomi FIMI X8 SE Drone has already made the user interface easy, and user manuals make it easier. The XIAOMI FiMI X8 SE Drone is a perfect drone to be carried around by you. The specification and technology along with its design already mentioned make it the right choice. The whole package weight is 2.3 kg and the product weight 790 gms which is lightweight as you know. The headless mode also releases you from the tension os settling the aircraft before giving it a push into the air. It also supports various multimedia formats which makes it a more desirable product. Devices of such purposes don’t have this specification, so this product becomes a more desirable one. The China brand’s product is available in many shopping sites. The bang good and gear best are the significant websites to get the product at a reasonable rate in both the shopping sites, the price of $499.99. Here, the amount may seem a bit higher. But you need to see the reviews and buy it accordingly and make a perfect choice. Now, you are well accustomed with all the featured the drone carries within itself. It’s upon you to decide whether you want to carry a heavy product with low specifications at a high price range or you will own a lightweight product with better features and lower price. You need not just go through all the reviews, but if you take my decision, I can assure you that you will have a better product in hand. The favorite drone world wide. Fimi drone is the best drone giving you all the features of the basic drone with a high range and good display. Xiaomi mocks about their next product - Could it be the Mi Play? Does it have any sensors around , i can seem to find information on that. 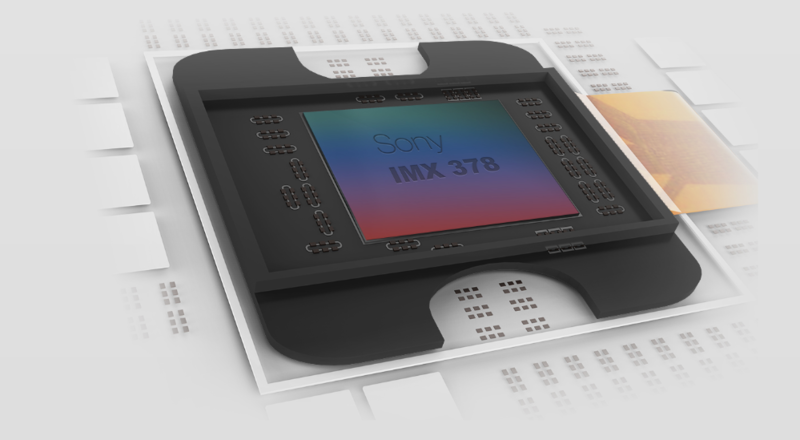 Yes, the Fimi X8 SE has the great sensor from the Sony which is SONY IMX 378. It will give the lower power consumption. Hi , thank for your reply but I was asking about collision sensors that dgi drones have. Clearly the X8 SE does not comes with obstacle avoidance sensors. X8 SE will have only a bottom camera certainly allowing much better altitude holding/precision than only GPS/GLONASS positioning but no front / back / side / above obstacle detection at all. Future editions of the X8 (maybe X8 Pro or something like that??) will certainly have OA sensors, at least behind the black part on the front. 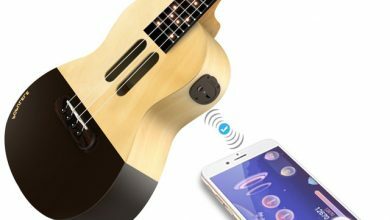 Does it really have a DIY port like the FIMI A3? yes, the Drone comes with the Diy port. Other websites might not have updated that. If there is one, I guess it should be part of the advertised specs like for the A3. Yes you can buy the product in india too.